The end result is that all of the Turing chips we’ve seen thus far, from TU102 to TU106, are monsters in size; even TU106 is 445mm2, never mind the flagship TU102. And while the full economic consequences that go with that decision are NVIDIA’s to bear, for the first year or so of Turing’s life, all of that die space that is driving up NVIDIA’s costs isn’t going to contribute to improving NVIDIA’s performance in traditional games; it’s a value-added feature. 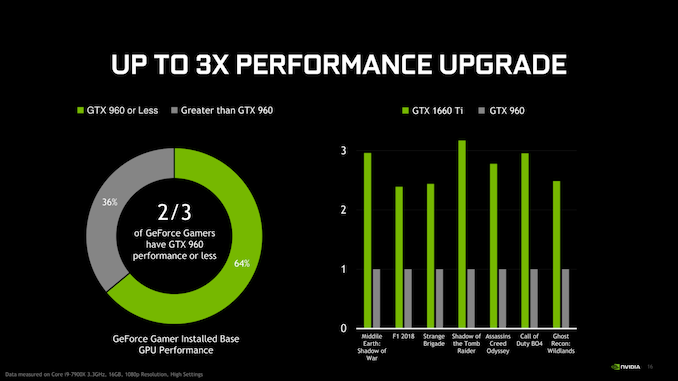 Which is all workable for NVIDIA in the high-end market where they are unchallenged and can essentially dictate video card prices, but it’s another matter entirely once you start approaching the mid-range, where the AMD competition is alive and well. The end result is that, on paper, the GTX 1660 Ti actually has a bit more ROP pixel pushing power than its bigger sibling thanks to that 5% boost clock advantage. However the drop in the SM count definitely hits compute and texture performance, where GTX 1660 Ti is going to deliver around 85% of RTX 2060’s compute and shading throughput. Or to frame things in reference to the GTX 1060 6GB it replaces, on the new card offers around 24% more compute/shader throughput (before taking architecture into account), a much smaller 4% increase in ROP throughput, and a very sizable 50% increase in memory bandwidth. 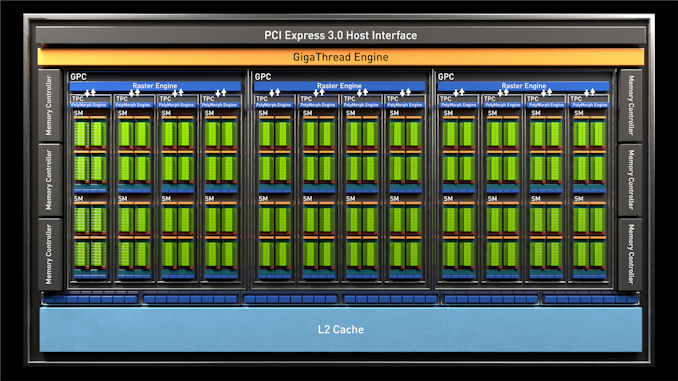 Wait, It's a GTX Card? Another constant across the Turing family has been price inflation, and the GTX 1660 Ti is no exception. With a launch price of $279, the new card is launching at $30 above the GTX 1060 6GB it replaces. 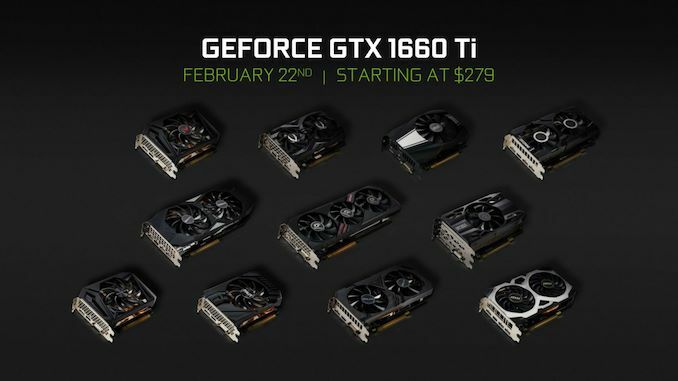 This is a lot better than the $349 that NVIDIA wants for the RTX 2060, but in case anyone thought that the $250 price tag of the GTX 1060 was a fluke, then it’s clear that sub-$300 is the new norm for xx60 cards, and not sub-$200 as the GTX 960 flirted with. It’s also worth noting that NVIDIA won’t be launching with any bundles here; neither the RTX Game On bundle nor the GTX 1060 Fortnite bundles will be in play here, so what you see is what you get. 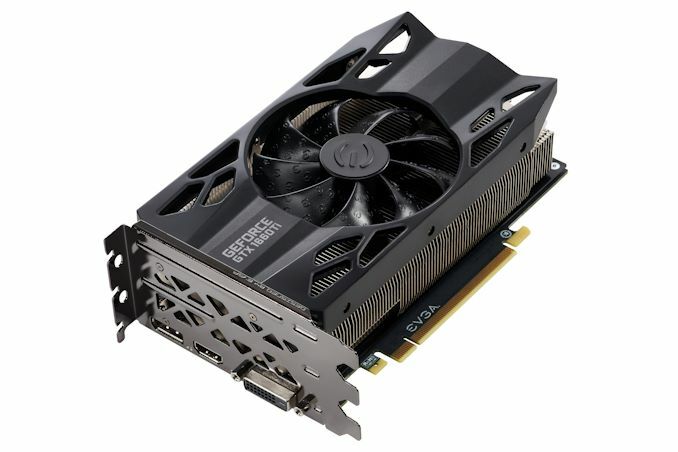 As for AMD, the launch of the GTX 1660 Ti finally puts a Turing card in competition with their Polaris cards, particularly the $279 Radeon RX 590, a fight that the Radeon cannot win. While AMD hasn’t announced any price changes for the RX 590 at this time, AMD will have little choice but to bring it down in price.